Online health insurance quotes under the Kaiser Premium Health Builder can be accessed through Kaiser International Health Group's website. 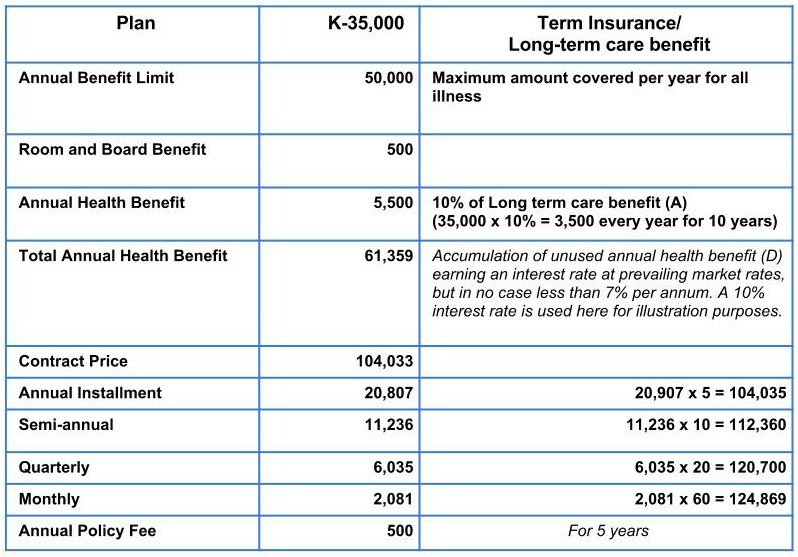 Kaiser Premium Health Builder has two payment options: spot cash and five-year-pay. The five-year-pay is more beneficial to the insured because of the "waiver of premium" feature when something happens to the insured. When you pay on spot cash, the waiver no longer applies. Pre-existing medical conditions are not covered during the Accumulation Period. PhilHealth covered expenses are deducted first before Kaiser. The illness or injury can be clinically determined to have started prior to the Effective Date of the Contract. Medical conditions disclosed in the application form. (Note:The company reserves the exclusive right to change, update and revise prices at any given time).